A natural non-abrasive exfoliating gel. Use s17 Refresh Exfoliating Gel to even out pigmentation and reduce discoloration, giving your skin a new life. The ingredients in this natural exfoliating gel bind to dead skin cells and impurities, and remove them without causing stress to your skin. Once the dead skin cells are removed, your skin absorbs moisture and nutrients more easily. Made with soothing evening primrose oil & antioxidant rich algae extract. I have been using S17 for just over 6 months now. Once I began using S17 my acne and skin redness reduced quite quickly. I find that using S17 and moisturiser only everyday has improved my skin so much. I am more comfortable wearing less make up now that my skin is clearer and glowing. I highly recommend this product to everyone, it is a fantastic investment and one which you won't regret! Nice and gentle! 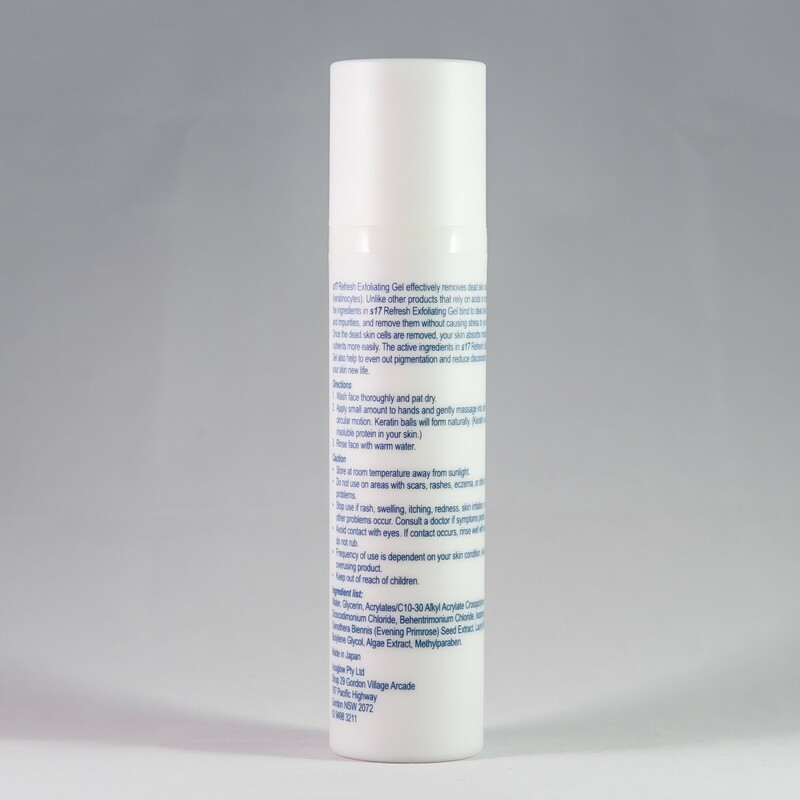 As its a gel you can control how thorough you want to be - I have dermatitis on my face and the gel gently removes the dead skin cells and leaves my skin very smooth. Highly recommend. Was so easy to use and made my skin feel so clean and fresh! I'm now on my second bottle of the S17 exfoliating gel and I absolutely love it - I have acne scarring and I've been noticing a huge difference in my skin, not just immediately after I use the gel but also in general! I would recommend it to anyone and it's become ingrained in my night time skincare routine. Highly recommend! I've been using S17 exfoliating gel for months now and can't live without it. It cleanses and gently exfoliates naturally. you wash away the dead cells and your skin glows. I have reduced age spots and reduced the redness by using morning and night. The difference is immediate. Lines and any imperfections are wrinkles diminished within weeks. It has the benefit of being both an exfoliant and cleanser. A brilliant product. I was lucky enough to try to S17 exfoliating gel while it was in development and it really is a unique product! It is a very gentle exfoliant suitable for sensitive skin and gently washes away dead skin cells leaving a smoother, brighter complexion. You will see results from the first use! moisturises the skin to keep it supple, smooth and soft. helps to boost collagen and elastin production giving the skin a firmer, more toned appearance. How frequently should I use the s17 Refresh Exfoliating Gel? For best results, use the s17 Refresh Exfoliating Gel 2 to 3 times per week. After using the s17 Refresh Exfoliating Gel, I found small balls caught in the fine hair on my face. Why does this happen? 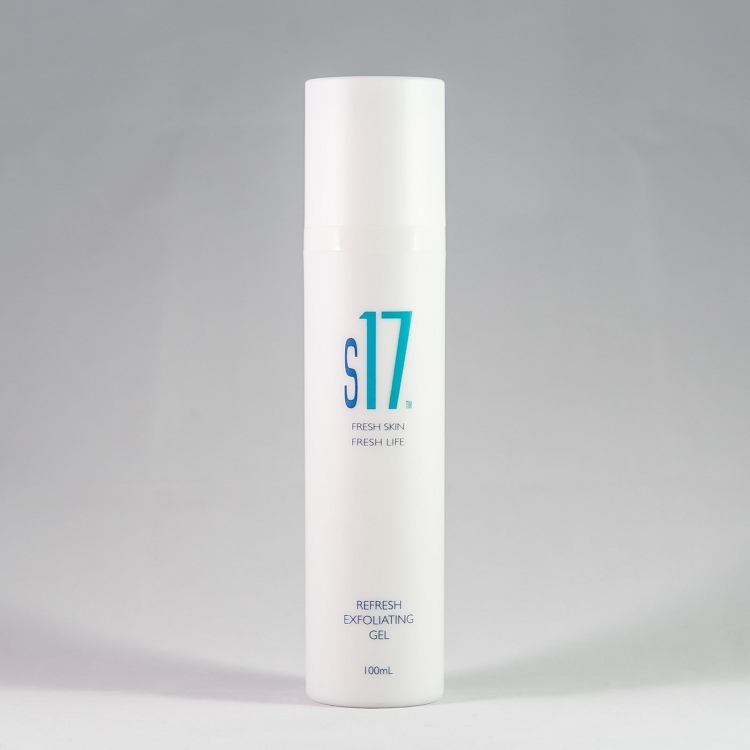 When the s17 Refresh Exfoliating Gel is at its most effective, it will not only remove dead skin, but also fine hair. After using the s17 Refresh Exfoliating Gel, simply remove the small balls that remain, leaving a soft, rejuvenated skin.